With each passing year, Geographic Information Science (GIS) technology offers new insights for businesses and organizations. From using geospatial analytics to analyze crime, to the development of drones, GIS technology offers seemingly endless opportunities for growth and innovation. One of the key areas where GIS has become an invaluable resource is the nonprofit sector. GIS technology in the nonprofit sector offers numerous advantages, such as aiding organizations in optimizing their development strategies for specific donors and patrons or better communicating their missions to the general public. For example, GIS professionals can analyze the communities where humanitarian work is being done to better allocate resources or map success stories related to their organization’s goals. The growth of GIS technology has drastically changed the way nonprofits identify and communicate with patrons and donors. While GIS might seem better suited to large nonprofits with a national reach, it can be equally useful to community-based nonprofits with a focused mission. The sustainability of nonprofits relies in large part on corporate and private donations. While GIS can be used to identify donors for the purposes of marketing and fundraising campaigns, the technology is also beneficial in showing need. For example, the nonprofit Direct Relief used GIS mapping to provide medical care to Syrian refugees and shared the mapping information with their donors to demonstrate where and how resources were allocated. This information was beneficial to building a healthy, transparent relationship with both corporate and private donors. At the end of the day, the goal of any nonprofit is to determine whether or not it’s meeting its mission. That means providing the right type of programming, effectively reaching out to patrons, and tracking the success of their strategies. GIS applications offer a way of not only monitoring this success but communicating complex information related to an organization’s goals. For example, digital mapping can lay out this information in a visual way, so that stakeholders can see where they’re succeeding, the areas where they may be falling short, and places where there is opportunity for growth. Recently, the National Audubon Society used GIS mapping as part of a grassroots effort to share data among local chapters in New York State. The organization was able to link numerous disconnected databases through GIS and ultimately produce better science. This initiative was tied into the Society’s core mission of giving local chapters the tools they need to be experts in conservation within their communities. The application of GIS technology in the nonprofit sector offers a variety of paths for recent graduates. Professionals within numerous GIS career disciplines can apply their skills at environmental organizations, museums, and community-based groups where it’s crucial to have an understanding of the surrounding area that the organization serves. Museums provide ample job opportunities for GIS specialists, particularly in areas of conservation and ecology. Specialists can work within a GIS team at larger institutions and study ecological trends in the community. On the curatorial side of museums, larger audiences are being reached by providing online collections that leverage interactive spatial information to paint a clearer picture of the collection’s cultural and historical significance. One recent example comes from the Rome Reborn project, which used GIS technology to create 3D models of ancient Rome based off archeological and geographic data. This type of 3D mapping gives museums a tangible way for patrons to interact with ancient civilizations. Organizations specializing in land and animal conservation regularly seek GIS specialists to help carry out their mission. In fact, any nonprofit job related to the environment will require some knowledge of GIS, and that trend will continue to grow in the coming years. If you’re already skilled in a field of science, adding a degree in GIS creates a pathway to senior-level jobs at environmental nonprofits. Many current and former USC GIST master’s students have done significant work contributing to the environment and conservation. Visit our library of master’s theses to read more on the types of projects students have worked on. A great way to network with fellow professionals in the field is to join a GIS organization. 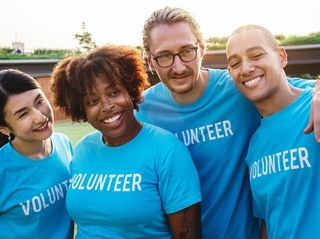 Due to the growing demand and variety of ways in which GIS can be applied, there are a number of groups for specific industries and nonprofits. 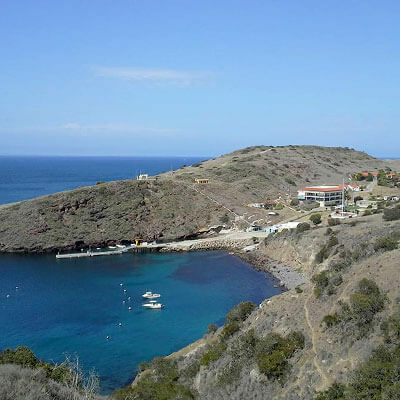 Students in USC’s GIST and HSGI programs have a unique opportunity to begin networking with GIS professionals during the weeklong field excursion at USC’s Wrigley Marine Science Center on Catalina Island. The program offers opportunities to meet with a global team of researchers and work closely with USC’s faculty while conducting GIS fieldwork. Students conduct and present findings on spatial data and collection during this immersive experience. Outside of USC’s program, The American Association of Geographers (AAG) offers a number of opportunities to network with fellow professionals at different stages of their careers. Their annual conference and publications allow GIS specialists to stay informed and marketable in their field. AAG also has a substantive grants program allowing for further professional development. The Geospatial Information and Technology Association (GITA) is ideal for professional who are just starting in the field. The association offers events throughout the year, and varying rates depending on where you are in your career path. GITA’s professional development materials includes industry-related articles, a reference site, and webinars. Finally, The Cartography and Geographic Information Society (CaGIS) focuses on bringing together an understanding of cartography and geographic information in order to improve quality of life. In addition to publications and an annual conference, CaGIS offers awards and scholarships to students who showcase excellence while studying GIS. Whatever GIS organizations you decide to join or contribute to, remember that the end goal is connection. Professionals in the field of GIS are passionate about what they do and can help you find work that is most meaningful to you.